On Wednesday, December 9, Larry Mantle and AirTalk convened a conversation at the University of Redlands about the attack in San Bernardino that occurred a week earlier. 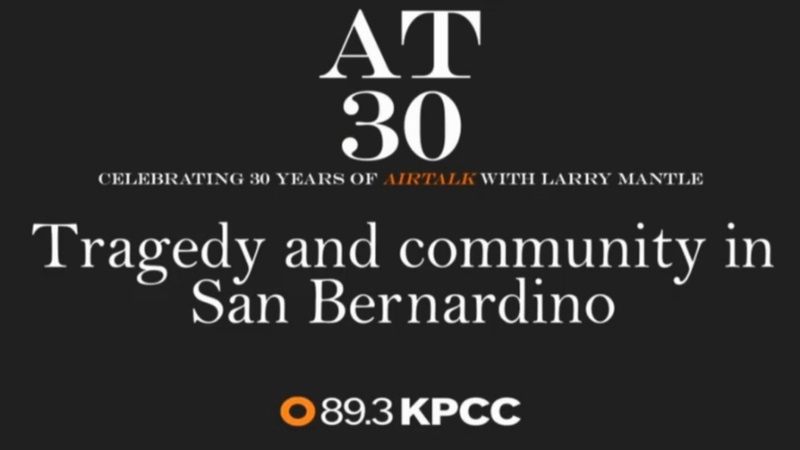 The discussion was the last event in the AT30 series, and it focused on how the San Bernardino community was coping and healing following the tragedy. The discussion went on to highlight a need for continued healing among individuals and the community as a whole. “How do communities heal after incidents like this?” asked Cassie MacDuff of the Press-Enterprise. Following the recognition of the police efforts, Burguan continued, “Police officers go into autopilot while they’re there and doing what needs to be done. It’s the after part that becomes difficult to deal with.” Larry Humphreys is the executive director of Behavioral Autism Therapies, which works frequently with the Inland Regional Center. He noted that all those present and involved with responding to the attack were still getting therapy. The conversation also addressed anti-Muslim sentiment. Khan recalled hearing of a Muslim woman whose car was searched while trying to put groceries away. An audience member from Loma Linda wearing a hijab shared that while her community was very supported, anti-Muslim rhetoric was still present in spaces like social media; she still felt the need to be escorted for her safety. Other audience questions reflected an eagerness to participate in action. Some sought guidance on dialogue: “How do we best discuss the issues of terrorism both domestic and abroad with our children without giving them nightmares but while keeping them informed?” Others asked for practical steps they could take, with one audience member offering the support of his local Rotary Club membership.